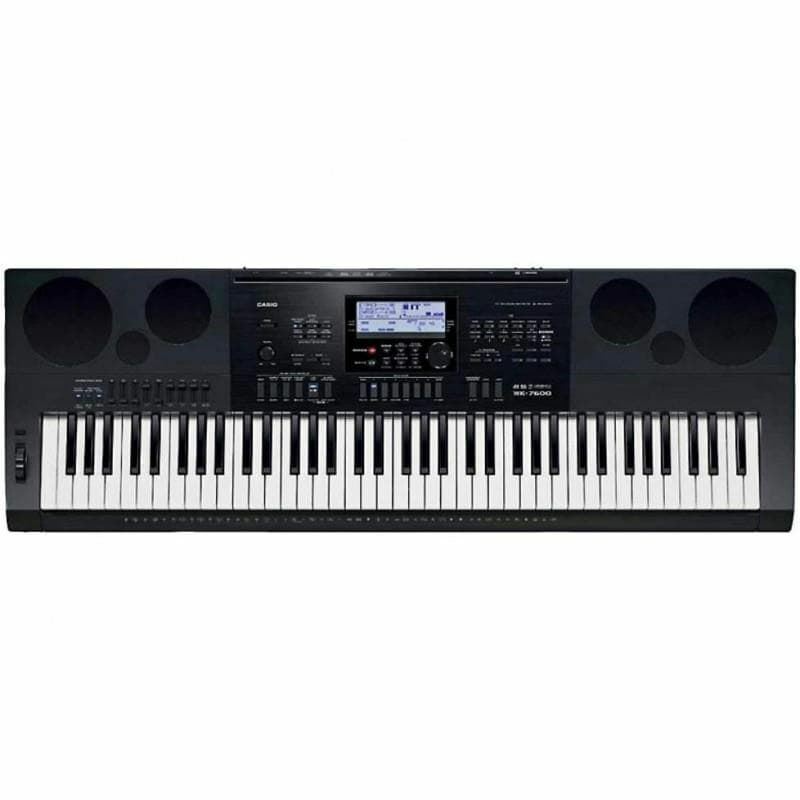 If you're looking for an affordable arranger keyboard with an impressive array of creative tools, Sweetwater has a great suggestion: Casio's WK-7600. When you're composing with the WK-7600, the possibilities for editing and refining your music are just about endless. The WK-7600 sports 820 presets and 260 onboard rhythms to spark your creativity. And with its 76 piano-style keys, built-in pattern and song sequencers, DSP effects, tone editor, drawbars, 32-channel mixer, and arpeggiator, Casio's high-grade series flagship makes it easy to transform your musical flights of fancy into finished tracks. The Casio WK-7600 is jam-packed with cool features that make it easy to realize your musical ideas. The Pattern Sequencer gives you up to eight tracks (drum, percussion, bass, chord 1 through chord 5), and can be edited to create original accompaniment patterns. A 17-track Song Sequencer (16 tracks plus one system track) lets you record up to five songs (up to 30000 notes). It also lets you punch in and out, and even edit recorded data note-by-note. Your recordings can be converted to SMF (Standard MIDI File) format and stored on an SD memory card. 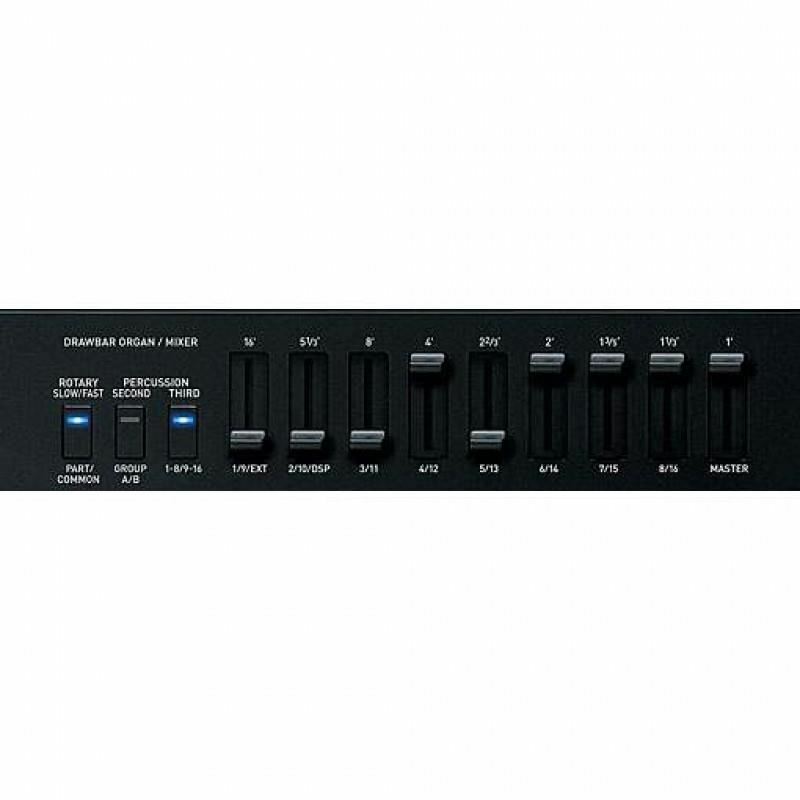 Casio's WK-7600 starts you off with 50 popular drawbar presets built-in. It only takes a few simple tweaks to get a robust, real-deal organ sound. Of course, you get a top-notch DSP rotary-speaker emulation is - the icing on the cake. Use the nine drawbars to change harmonic overtone levels and to create sounds by adding a harmonic percussion effect as you play. You can even edit the parameters of the percussion effect and click sound of a drawbar organ to create incredibly realistic drawbar organ tones, and even save up to 50 of your custom patches in memory. To make your songs sound professional, the Casio WK-7600 gives you ten types of reverb, five chorus settings, and 100 DSP effects, including delay, phaser, flanger, wah, rotary speaker, and more. (DSP and chorus cannot be used simultaneously). You can apply multiple effects to a patch to create exactly the sound you want. Tweak the parameters of the DSP effect types to create your own DSP effects and store up to 100 of them in memory. Yamaha FS800 Folk Acoustic GuitarThe FS800 Folk is Yamaha's standard acoustic model, with simple and traditional looks and outstanding quality, at an affordable price. A solid-top guitar with authentic sound that is well-balanced without sacrificing its robust strength, thanks to the newly developed..
Digital Piano Roland RD-2000Roland RD-2000 merupakan keyboard yang sempurna bagi para musisi. Dengan dilengkapi fitur dual sound engines yang mampu mereplika suara untuk piano akustik dan juga elektrik, ditambah dengan aksi piano yang terbaik untuk feel yang lebih alami. RD-2000 juga memiliki ragam ..
Cort AC-100 DX-Yt Classic GuitarThis model, inheriting the traditional classical guitar type, optimizes the weight and size of the wood material to maximize the sound of the strings, and realizes authentic Spanish classical guitar sound and play. Nylon strings have a deep sweet taste, you can feel t..